Certainly, if you are simply buying some uprights and beams, maybe even a few wire decks, then maybe racking is just a commodity. 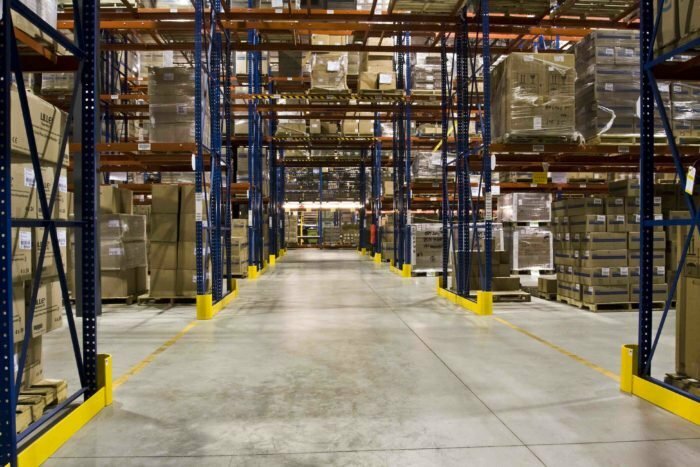 However, in today’s world of expensive real estate, air tight leases and even more expensive labor, warehouse tenants are most times requiring so much more than just buying some materials. The correctly optimized warehouse, over the lifespan of a lease, can save significant money both in real estate and labor. But there is so much more to it than that. There is an incredible amount that goes into even the simplest pallet racking system. What might appear to be easy actually requires a lot of detail. The existing floor, sprinkler system and even the amount of ingress doors the building has can affect what type of racking you can have, how tall it can be, and how you can install it. The proper column sizing, aisle spacing and footplates can also have a great effect on your racking system. The weight of your product, how flammable it is, and even how you package it, can severely limit your options. The permit process, in and of itself, is a beast all to its own. It can take up to two weeks (or sometimes significantly longer) to gather all of the necessary information for the permit package. It is required that we submit a PE signed letter validating that your sprinkler system can adequately protect your product based on its commodity class and how it is stored. Or worse yet, it is very possible that your sprinkler system might even need to be upgraded in some older buildings. We also need a PE signed set of plans that show the racking, the egress/emergency lighting layout, and the racking calculations showing that the rack can support the weight of the product being stored. For all of these reasons, and many more besides, it is important that you do not see pallet racking as not just a commodity. If you have a deadline to hit, or you need to optimize your space, or if you need to keep your overall costs down by most effectively utilizing your space, finding the right partner to deal with is integral to a successful long-term operation. If you don’t already ready have a relationship with a racking company, start looking for one now. Even if you are not planning on any kind of work for years. If you think that you might need it in the future, developing the relationship now will save time and money later. Then, once you know you are going to move or make any alterations, start engaging your racking company early in the process. If you pick the right one, they will actually assist in your search for a new building. The right racking company can help evaluate the building, desired layout, the sprinkler system, the electrical requirements and much more. And the right company will do all of this simply because they want to earn your racking business. The individual pallet rack pieces themselves might be a commodity. But the value of the service that goes into it, most definitely is not. At the end of the day, the amount of money you will save by working with the right company, and creating the right solution for you, will be all the peace of mind that you need to perform at your best. Choose ABCO Systems as your racking partner and we will do our best to help you design your space to its fullest potential. Our design and engineering team are ready to help optimize and layout your building with not only your business needs, but with safety and efficiency in mind as well. Give ABCO a call at (201) 507-0999 or send us an email for more information.